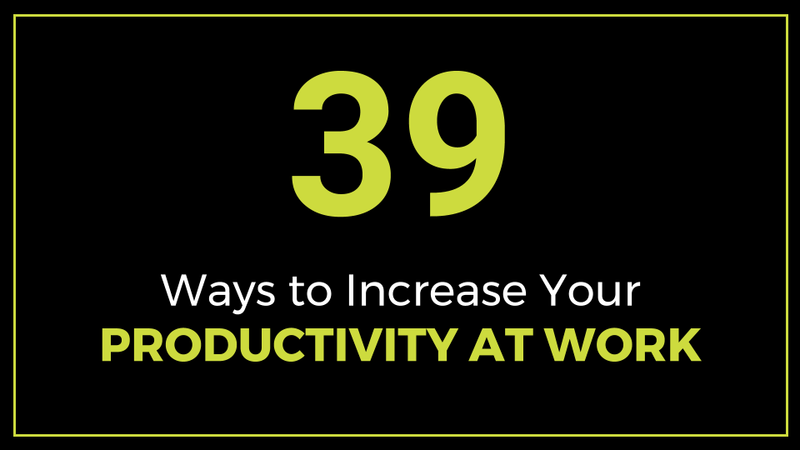 This in-depth article walks you through ways to increase your productivity at work. Being more productive in the workplace entails being the best that you can be at what you do, being methodical, being systematic, being well prepared, being organized, prioritizing, working smarter and doing what needs to be done in a timely manner. When you are working efficiently, you are able to do both more and better work in less time or within the time available to do a specific task. The solid tips outlined in this article will help you to improve your productivity, increase your performance and achieve more results at work. 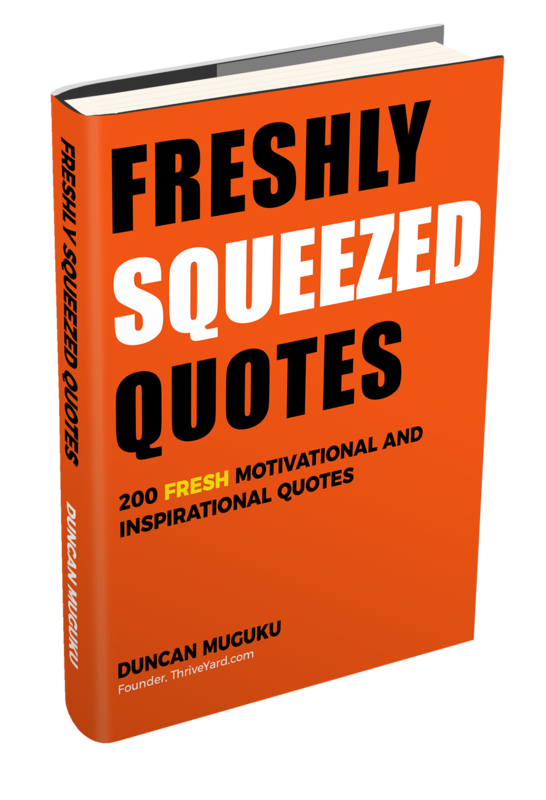 You can quickly skim all the 39 productivity tips on the table of contents below and then click on any tip to read further details. Please enjoy reading. Thank you. The first step on your journey towards productivity is deciding that you want to be more productive than you currently are. Take an inward look or self-assessment and ask yourself two critical questions: what is my current level of performance and what performance level do I aspire or want to be? In addition, identify the factors that have been hindering your productivity and resolve to overcome them. Productivity killers in the workplace include the following: underestimating the time needed to complete tasks, overloading your to-do list or trying to do too much in one day, procrastinating, distractions, disorganization and frequent interruptions. 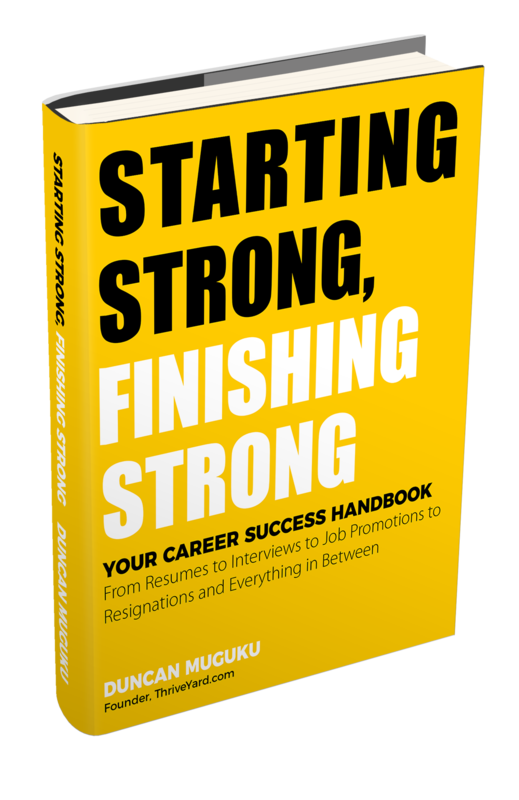 Your track record of efficiency at work and level of industriousness can aid in positioning you for job promotions, career advancement or even in a quest to secure a new job. At the end of each day, take a few minutes to prepare a list of specific items to work on the following day. This practice lays out a road map for what you want to do or accomplish on a daily basis. Mentally note or estimate how long each task should take and by what time you want the task to be done. Writing down everything that you need to do helps you to manage your time and safeguards against an activity being forgotten. A to-do list can be either electronic or a paper list. At the beginning of each day, go over your list to refresh your memory. In addition, look at your list at specific intervals throughout the day to ensure that nothing is skipped. Check off, cross out or delete items when you complete them. At the end of the day, rebalance your to-do list by removing completed items and adding new items. If you are unable to prepare your to-do list at the end of the day, you can also prepare it first thing in the morning when you get to work. The next logical step after preparing a to-do list is to prioritize tasks. Prioritizing can be based on specific criteria such as urgency, importance and workflow dependencies where one team cannot start on their tasks until you finish your part. It can be challenging deciding how, when and what to prioritize because everything seems urgent with multiple competing deadlines. It is even more challenging when juggling team priorities because individual team members not only have to prioritize their individual work but also balance the team’s priorities. A prioritization exercise can begin by identifying what needs to be done as soon as possible, by whom, by when, what resources are available and what is the value of doing the task. What has to be addressed immediately? What are the implications or consequences of not completing the task? How long will it take to complete the task? How much time is available to finish the assignment? Your answers to the above questions will help you to rank the task as high, medium or low priority scale where the high priority items would need to be addressed immediately. It is also a good idea to synchronize priorities with your boss and in addition, reprioritize your to-do list as you finish tasks or as circumstances change. One simple method for ensuring that you have quality time to work on your tasks is by scheduling work blocks on your calendar. These are blocks of time where other people cannot schedule other activities for you such as meetings. Booking working blocks on your calendar helps you to protect your time. It frees you up to focus on your assignments or projects and enables you to control your workday instead of reacting to what others schedule for you. When you schedule work time on your calendar, estimate how long it will take to complete a task and also write down the specific task that you want to work on during that time period. You can also block off time for reading and responding to emails. When you have a big project or assignment to complete, it can be overwhelming thinking about how to complete it. This could even cause inertia and lead to procrastination or delaying starting on the task. An effective strategy is to break down a big task into smaller activities which can be handled one at a time. By handling a series of small activities, it will eventually lead to completion of a big task for example breaking down a report into small sub sections and then completing one sub section at a time and ultimately you will finish the whole report. Deadlines create urgency. Move your personal deadlines forward so that you aim to finish tasks ahead of normal deadlines. In other words, create your own early deadlines. When you aim for and beat your early deadlines, it helps reduce stress and give you more peace of mind. It similarly boosts your confidence. The more you meet deadlines the more your confidence increases about meeting other deadlines. Completing tasks ahead of deadlines gives you time to review your work, correct errors and submit or provide good quality outputs and it frees up your time to move on to other projects. Additionally, when you consistently meet deadlines, it establishes your credibility and reliability in the workplace and people know that they can count on you. Actively track your productivity by measuring your performance at specific periods. Monitoring your progress helps you to know whether or not you are moving closer to your goals, targets or objectives. Choose specific intervals when you can look back and see how far you have gone and how much ground is left to cover. It can entail measuring your daily, weekly, monthly, quarterly or yearly goals. Think through challenges, failures and success that you have achieved along the way. All these provide opportunities for self-reflection and improvement. Where did you think you would be at this point in time? What corrections or adjustments have you made along the way? How can you improve quality in the workplace? At a minimum, it is a good idea to track your work progress on a weekly basis. Review what you have accomplished during the week, make any needed corrections or adjustments to your methods, tactics or strategies, and move forward to embrace the following week with renewed focus and energy. You can think of a routine as similar to preparing a recipe. The first time you prepare a recipe it can be a hit or miss. Your actual results might or might not be similar to the intended outcome, however, the more you practice working on the recipe, the better you become at it. Over time you make improvements until you reach a point where you can even add your own twists and creativity to take the recipe to a whole new level. In other words, you transform it into a personalized recipe rather than a mass market recipe. Likewise, the process of making and following a daily routine begins by identifying what you want to do in a particular day and sequencing a set of steps to get you through the day. Then you keep repeating the same pattern each day whilst making improvements, corrections and adjustments along the way or adapting depending on circumstances. A typical daily routine entails the time you wake up, prepare for the day, leave for work, arrive at work and start doing your work, take breaks and lunch, continue working, finish working, preparing for the following day, heading back home, preparing for the night, sleeping and then repeating the process again the next day. It acts as a compass to guide you throughout the day. It helps you to quickly get ready for the day. It charts out a familiar path which reduces uncertainty. It makes it easier to go through the day via a pattern of executing repeatable steps. It helps you to get back on track when you fall off. It offers opportunities to make small improvements everyday which can add up over time. It helps you to identify common failure paths and avoid problems before they occur. It makes it easier to quickly settle down into the day. It helps to build up momentum and productivity as you accomplish one task after another. One effective way of boosting your productivity at work is by taking small breaks. At a minimum aim to take at least two small breaks during the day excluding lunch break i.e. one short break in the morning and another one in the afternoon. Short breaks help to recharge you, reenergize you, increase your concentration, relax you, break monotony, reduce boredom, boost motivation and productivity and help to reduce errors from fatigue or burnout. Things to do during breaks include taking a walk, walking up and down a flight of stairs, taking coffee or tea, chatting with a colleague, looking outside, listening to music, stretching, catching up on news, thinking, calling a friend, reading personal email and taking bathroom breaks. Distractions abound in the workplace and they eat up valuable time that could be spent working on your tasks. It takes time to refocus on your work after an interruption. Typical distractions in the office include social media, browsing the internet, email alerts, chatting with colleagues, gossiping, personal phone calls, text alerts, instant messages and unnecessary meetings. The first step in combating distractions is by knowing the distractions that you often succumb to. Once you know these hindrances, the next step is to methodically build your tolerance so that you can resist, ignore, tune out or eliminate the distraction. Switch your cell phone off or put it to silent, allow calls to go to voicemail and check your messages during scheduled breaks. Ways to overcome distractions include don’t browse the internet, stay away from social media during your productive periods, tune out background noises with earphones, avoid gossiping and avoid gossipers and avoid unnecessary meetings whenever possible. Let others know when you are working on a tight schedule or urgent tasks. Challenge yourself to strictly follow your to-do list, monitor and remind yourself to stay focused on the task. When interrupted take a note of where you were so you can quickly resume from that point after the interruption. If possible you can move to a quieter private area to work, manage how often you check email and be more organized to avoid spending time looking for things in your desk. To the greatest extent possible work on one task at a time. By doing this you give greater attention to the activity, are more engaged and the quality of your final output is likely to be higher. Once you have finished one task, move systematically to another. You can also arrange your tasks in such a way that there is variety or mix and match the tasks you are working on to create excitement and break monotony. When trying to do many things at the same time, it taxes your focus, energy and concentration across the different tasks. It could lead to more fatigue, lack of focus and inconsistent results or quality. It can similarly take longer to finish work. A goal entails identifying a target and working towards it or working towards a desired end result. Having a clear goal increases your motivation, drive and determination. It keeps you focused and helps you to work methodically to achieve your objectives. Goals can be both short-term and long-term. The first step in goal setting is to determine what you want to achieve, why you want to achieve it and by when. The next step is figuring out how to achieve your goal. Depending on the ease or complexity of the goal, the figuring out process could either be easy or hard. The ‘how’ is the game plan or road map to get to your destination. Write down your goals and look at them regularly to remind yourself and set a deadline of when you should accomplish your goal. Break down the goals into a series of small tasks which when done over time will progressively lead towards accomplishing the overall goal. How will you know you are achieving your goal? It is additionally important to identify specific milestones or guideposts along the way which will let you know the progress you are making. At specific intervals assess what you have done so far versus what you need to do. Also assess what you have done at a specific point in time versus what you had planned or expected to do by that time period. Looking at your goals on a regular basis. Doing one small task every day or on a regular basis that supports your goal or gets you a step closer to your goals. Adjusting your tactics based on progress and feedback. Acknowledging there will be challenges, setbacks and unforeseen circumstances along the way and choose to stay firm in your resolve to reach your goal. Bouncing back when you encounter difficulties. Making it a game where you compete with yourself and endeavor to break your past records of accomplishment. Breaking down goals into daily, weekly, monthly, quarterly or annual goals. From time to time, think about your long term goals; don’t get so caught in day to day activities that you forget to strategize e.g. working towards a promotion, career growth opportunities and professional development i.e. the skills you want to learn or improve on. Poor communication skills can affect productivity in the workplace. Lost productivity can occur when instructions and messages are unclear. Unclear messages can lead to confusion, frustration and wastage of time in repeating work that has been done the wrong way. Inconsistent messages and communication breakdown in the work place can breed anxiety and dampen staff morale. Poor communication can cause misaligned priorities, unclear decisions, processes and expectations, unclear roles and responsibilities and lack of understanding. Being aware of the tone of communication. Appropriately using nonverbal cues such as eye contact, facial expressions and gestures. Paraphrasing or repeating back to ensure you have clearly understood. Selecting the right communication medium and using it effectively such as verbal, email, text, telephone, video conference, letter, fax, instant message etc. Seeking clarification i.e. ensuring alignment upfront to save time downstream. Providing enough details, adequate information or background. Checking-in regularly: regular meetings at least twice a month with team members and your boss helps to realign and re-energize efforts. Clearly explaining the desired outcomes, deadlines and expectations. Giving others time to communicate and be heard without interrupting or rushing them. Being open to other’s opinions and perspectives. Communicating progress, potential challenges and changes. Communicating change well is especially critical. Good communication helps in working towards mutual deadlines, expectations and achieving desired outcomes. 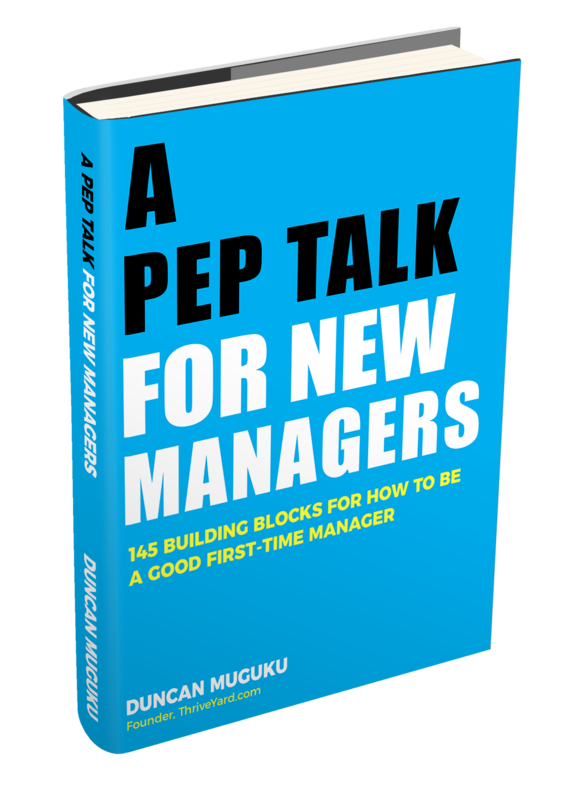 Since communication is a two-way street, ensure you similarly understand what the other party is saying to help you in your execution. Your overall outlook can influence your perception of what happens around you and how you relate with others. Adopting a positive attitude can help strengthen your interpersonal relationships and help you get along and work better with others. When you are an easy person to work with, you will be likely to gain cooperation of others. Building confidence in your skills and capabilities. Doing good work that you are proud of. Using positive, empowering and uplifting words. Feeding your mind with positive and inspiring materials such as books, songs, videos etc. Having goals and working towards accomplishing them. Visualizing what you want to accomplish. Helping others and giving back. Handling challenges calmly and gracefully. Not focusing on negative thoughts. Forgiving yourself and forgiving others. Hanging around other positive people. You can do a finite or limited number of things within the time available each day. Take stock of your capabilities and how much work you can comfortably handle at any given time. When you overbook yourself you won’t be as efficient to all who are relying on you. Chances are that you will let others down in the process. Keep track of your existing commitments so that you have a clear picture of what is on your plate before you commit to a new activity. Cultivate good estimation skills to assess how long it will take to not only complete your current tasks but also new tasks. When approached with a new commitment, probe a bit to fully understand what exactly you are required to do. Politely and kindly decline tasks or activities that stray outside your priorities. Work with your boss to see which commitments can be re-prioritized to make room for new assignments. When necessary, renegotiate deadlines or time extensions for either existing tasks or for new commitments. Productivity can be boosted through improved work processes. Enhanced efficiencies help in better managing, conserving and utilizing resources such as time, money and labor. Simplifying processes by reducing or consolidating the number of steps required to perform a task. Documenting the typical path taken in executing an activity and brainstorming solutions and alternatives for making the process better. Learning from others who have developed efficient and better methods of performing tasks. Sharing best practices with others. Adopting a culture of making incremental improvements. Completely redesigning systems or procedures that are broken. Identifying typical failure paths, bottlenecks or choke points and identifying long term solutions. Creating manuals, flow charts, templates, policies or guidelines to help others learn and follow required processes and standard operating procedures. Good processes help in reducing waste, reducing rework, saving time, saving money and enhancing consistency and improving quality of final outputs. Productivity can be greatly strengthened by good planning and preparation. This helps in identifying what you want to do and getting ready to actually do it. It enables you to be ready before you are ready or thinking, anticipating and mapping out your actions in advance. When you take time to plan and prepare, you have an opportunity to think through what you want to accomplish, how to do it and anticipate challenges and solutions. Preparing in advance similarly boosts your confidence. Ways of planning include beginning by clearly defining what you want to achieve, by when, how to achieve it, what you are able to achieve within the available time and what to do when a problem occurs. Ways of preparing or getting ready include researching, rehearsing, identifying available resources and missing resources, assembling resources and making decisions or choosing between alternatives. Good planning and preparation helps to avoid scrambling at the last minute to furiously complete a task which increases the likelihood of making errors. Whenever possible, ask for more time to prepare if needed or necessary. It is very discouraging to work on a document then loose it and not have any backups. Repeating or redoing something that you had already done eats up valuable time that could have been invested elsewhere. You could loose work due to loss of power, loss of internet connection or even by simply overwriting a file that you had previously worked on. Regularly hit save as you work on a document. In addition, save important work related projects and documents on the organization’s shared drive rather than or in addition to your desktop. Chances are that most organizations do regular backups of data on the shared drive and can retrieve the last saved version of your work if you accidentally loose it. Different people are most efficient at various times throughout the day. Some people are at their peak in the morning and can do a large volume work at this time. Others are at their optimum capacity in the afternoons whereas others are in their prime in the evening. The common thread is that there are different windows of maximum efficiency throughout the day. Endeavor to schedule your major tasks at your peak productivity periods to take advantage of your natural productivity cycle, rhythm or momentum – go with your own flow. Increase your output by being organized. Good organization skills not only give you peace of mind but also save time when you need to retrieve information or items. Tidying up your desk at the end of each day. Doing periodic large scale decluttering of your desk or work area. Creating good filing systems both hard copy and on your computer. Planning your day through a to-do list, a daily planner, a calendar or any other method that keeps you on track. Keeping your calendar up to date. Knowing what you want to work on. Mentally thinking through your day and visualizing how you want it to unfold. Prioritizing your time and tasks. Just like a rechargeable battery needs to recharge to maintain its energy supply similarly people need to rest to be able to perform at optimum capacity. Lack of adequate rest can lead to burnout, stress, fatigue, moodiness, forgetfulness and reduced attentiveness. Benefits of resting include boosting your concentration, improving your performance, increased productivity, reduced stress, more energy and a good demeanor. Taking vacation or time off. Unplugging at the end of a work day. There are moments in the office when you simply have too much work on your plate. One way to ensure tasks are completed in a timely manner is through delegation. If you are not a supervisor and need to delegate work to colleagues, discuss your request with your boss then they will decide how to assign the work. Delegation helps you to accomplish work or results through other people especially if you are in a supervisory position. Give clear instructions regarding your expectations, requirements and what needs to be done. Provide sufficient background information regarding the task to be executed. Give a deadline for completing the work. Ensure that you are both on the same page regarding what the final outcome should look like. Identify, assess or know the skill level of the person you are delegating to in order to determine how much hand holding will be needed. You might need to invest time upfront in training others on how to do things and this can pay off later once they become comfortable in doing the tasks. Determine how often to check in to monitor progress, give feedback and address any questions or challenges. Sharing work with others helps them to build skills, increase their confidence and over time the overall productivity of the team and organization increases as more results are achieved. Procrastination is a common productivity killer. Procrastination occurs when you put off doing something that you want to do or are supposed to do. It also entails not looking forward to doing a difficult, boring or lengthy task and postponing it until you can’t postpone it any more. People procrastinate because of lack of interest, lack of motivation, uncertainty, indecision, being unsure about how to handle a task or how to proceed, fear of failure, success or the unknown, poor planning or lack of planning, lack of skills, not prioritizing and a habit of doing things at the last minute. Breaking the habit of procrastinating is essential to help boost your productivity. Decide what you want to achieve during the day. Visualize how the completed work or outcome would look like. Start with easy tasks and gradually move towards difficult tasks. Work on one small task at a time. Give yourself mini deadlines and honor them. Cluster similar tasks together such as responding to emails, making phone calls, combining errands so you do them together. Alternatively start with a difficult task and move to simpler tasks. When you get a difficult task out of the way it boosts your feeling of accomplishment and propels you to glide through other tasks cheerfully. Allow some time for dealing with unforeseen circumstances and interruptions. Check off the tasks that you complete and pat yourself on the back for the progress made. Be mindful or aware of when you fall into counterproductive procrastination habits and self-correct accordingly. Below are more resources on dealing with procrastination. In order to know how long it takes to complete a specific activity, it is vital to time yourself. This helps in improving your time estimation skills. Knowing how long it takes to finish a task helps feed into and inform your planning process. It also helps in knowing how much work you can do in a typical day. You can go a step further and track your workdays for a week or a month. List out each activity that you are doing in real time then log the time you start and when you finish the task. You can do this on a simple spreadsheet with four columns as follows: date, start time, end time, time spent and task or activity. After one week or one month, review your time tracking log to analyze how you spent your time. Where is the meeting location/venue? What is the meeting time and duration? Check calendars for people’s availability. Book/reserve a meeting room early/in advance. Send the agenda and any reading materials to participants before the meeting/ahead of time. Assign meeting roles such as the official note taker, timekeeper and leader. Arrive at the meeting location early to arrange the room if needed and turn on any audio visual equipment that will be used. State the desired goals and outline the agenda. If applicable, review the previous minutes and actions assigned. Encourage attendees to participate and contribute to the discussion. Take good notes during meetings. Assign action items to participants. Recap what was discussed, outcomes achieved, next steps and close the meeting. Prepare the minutes and circulate them as soon as possible. Keep a file/folder for minutes, meeting notes, attendance lists, agendas and presentation handouts/reading materials. Complete any tasks that you were assigned during the meeting. Follow-up appropriately with other participants on their assigned action items. Reflect on how you can improve your performance from one meeting to the next. When you are confused about something or unsure about how to do a task or when instructions are unclear, don’t be afraid to ask for clarifications. It only takes a few minutes to seek clarification or ask relevant questions and get guidance rather than spend time doing a task the wrong way and then have to re-do it again thus wasting precious time. Become known for setting high standards and doing work right the first time. Asking for feedback at work from your boss, colleagues and other stakeholders helps you to know how you are doing and uncovers areas and opportunities for improvement. Similarly feedback helps you to grow. The value of feedback increases when it is timely or given as close as possible to the activity or action being evaluated. This enables you to reflect and make quick corrections. Examples of questions seeking feedback can include: How can I improve on x? How can I make y better? What tips, suggestions or advice do you propose for making z better? How can I do this activity or task better? Do you have any concerns? What is working well? Regularly seek feedback to improve your performance and productivity and also always remember to thank people when they give you feedback. During moments when you are stuck, overwhelmed or simply need a helping hand, don’t be afraid to ask for help. The downside to not asking for help can be more risky than simply asking for help. Determine when to ask for help such as after you have tried doing a task on your own and didn’t succeed. Be specific about what you want to be helped on i.e. identify what type of help you need. Identify who to ask for help. Explain what options you have already tried or attempted. Propose solutions that might work as you also seek guidance and other perspectives. If someone can’t help you they can refer you to somebody else who could or point you to helpful resources. Ask for help in a nice way. Similarly be willing to help others. Say thank you whenever someone helps you. Closely related to asking for help is being a good team player. Cooperate and collaborate with others effectively to achieve shared goals and common objectives. A simple way to feel happier in your work area is by personalizing and decorating it. This makes your work station to look nicer and you look forward to working in it. A fun work environment helps you to be more comfortable, relaxed and feel more connected to the organization. Before decorating your work area, it is important to know your company’s rules on do’s and don’ts of office decoration. Take cues from your boss and colleagues on how they have decorated their work area. They key is not to overdo the decorations and personalize in a tasteful way. Adding pictures of your loved ones, pets, places you like etc. Incorporating plants – these can be real or artificial depending on your preference. Colorful or artistic accessory holders such as pen holders, business card holders and paper clip holders. Hanging up paintings and wall art. Colorful or inspiring desktop background. In the busyness of everyday tasks, it is possible to forget the importance of maintaining a good posture while working. When you don’t sit or stand properly, it can lead to getting tired much faster. Fatigue decreases productivity and lowers your energy levels. Poor posture can also lead to aches and pains such as lower and upper back pain. Slouching and hunching over your desk for prolonged periods can cause shoulder or neck pain and muscle aches. Take brief break periods where you move around. Adopting good posture where you sit up straight helps in good breathing, being more relaxed and boosts confidence levels. Working on improving your expertise and knowledge is a good investment that can lead to better and increased performance. When you are armed with more skills it helps in performing your tasks more efficiently, finding better ways of doing the work, positioning yourself for career growth or promotion and equipping you to handle more challenging work. Identifying your skills gaps or areas for improvement. Finding out the skills required to remain relevant and competitive in your chosen field. Finding out from your boss the areas for improvement or skills lacking. Preparing a professional development plan that identifies the skills to be learnt, by when and how. There is a cost element involved both in terms of money and time depending on the type of skill to be learnt. Options include searching online for free training resources or dedicating a budget towards professional development. Paid training resources include going back to school, coaching, online courses, webinars, workshops and books. Sample areas for professional growth and development can entail communication, problem solving, negotiation, conflict management, leadership, management, computer skills, public speaking, time management skills etc. Ask them how they plan, organize and manage their work. Find out what tools, systems or processes they use to stay productive. Hang around productive people/top performers and watch how they think, talk, work and interact with others. Learn how they deal with uncertainty, risks, problems and challenges. Ask for tips and advice that you can use to improve your efficiency. Ask how they manage deadlines. Ask how they handle multiple competing priorities and also how they prioritize their work. Learn how they keep themselves focused, inspired and motivated. Find out how they ensure that they finish what they start. In today’s fast paced work environment, the average worker faces multiple competing priorities. It is easy for things to slip through the cracks or be moved to the back burner. Hence the need for practicing the art of follow-up because someone may not have gotten to responding to something the first time around. Benefits of following up include the following: it helps to find out the status of something, can help to uncover challenges or hold ups in good time before it is too late, it acts as a reminder for example reminding people of an important event, activity, meeting etc and it creates a sense of urgency. Following up helps to ensure or double check that you are on the same page or you have mutual understanding for example repeating back what was discussed in a meeting allows an opportunity for clarification and provides a record of what has been discussed or agreed upon. When you send an email, letter or make a telephone call and there is no response, it is prudent to initiate a follow up. Sometimes you will need to do more than one follow up to get a response. When you assign tasks to people, it is important to follow up on the progress at regular intervals and be available to help address any bottle necks. Schedule follow ups and reminders on your calendar. You can also flag emails for following up at a later time. A simple strategy of following up at work with colleagues is beginning by restating your request, giving a brief explanation of why you need the information and mentioning a deadline of when you would like to hear back. You can do follow ups through email, telephone, text, instant messenger, voicemail and best of all is to simply talk to the person involved. On the business side of things following up is critical when soliciting sales, reaching out to customers, following up payments and even expressing gratitude and appreciation. Following up demonstrates interest, passion, persistence and determination. It acts as a catalyst for getting your requests addressed or prioritized. Following up with internal and external stakeholders helps to uncover the level of customer satisfaction and can uncover customer issues, complaints or dissatisfaction. This subsequently gives you an opportunity to address the issues raised leading to higher satisfaction, greater customer retention and repeat sales. Following up respectfully with prospects helps in building customer relationships and rapport that could lead to future business opportunities. You can boost your productivity and get a head start on your day by utilizing your commute time. Most people spend a certain portion of their workday commuting to and from work. Safety is the first priority when it comes to driving. If you are driving you can use your commute time to listen to an audiobook, podcast or talk. You can also listen to inspirational music that uplifts and energizes you. Respond to any email if you can. Write draft emails and notes. Listen to an audio book, podcast, talk or pre-recorded webinar. Think about your professional and personal goals. Listen to inspirational music or watch inspirational videos. When commuting back home reflect on how your day was and think about what you want to accomplish the following day. On the commute back home, disconnect from your work and look forward to the evening. Checklists are an easy way to ensure that critical items, tasks or steps have been addressed. Checklists are commonly used before, during and after a task and they can be broadly grouped into three categories namely: preparatory or preliminary checklists, operational or procedural checklists and assessment or evaluation checklists. Preparatory or pre-work checklists are used for preparing and organizing before undertaking a task such as conducting preliminary research, preliminary examination, assembling, gathering, collecting and arranging what is needed before a procedure starts, asking questions etc. Operational checklists can be used to document steps required to carry out or complete a process or procedure. Assessment checklists are used to analyze, inspect or evaluate if proper steps and procedures were followed. They help in auditing processes undertaken and aid in quality control. An example of an assessment checklist is a submission checklist for a proposal or a contract which will seek to find out if all the necessary documents have been included, if proper formats have been adhered to, if documents have been signed etc. Checklists generally feature check boxes, a series of yes or no responses or sections for comments. In addition, checklists can be detailed or brief depending on the circumstances. Checklists are especially useful for repetitive tasks, processes or activities. Rather than trying to remember everything, the checklist serves as a guide to ensure that critical steps are not overlooked or forgotten. Checklists are a good aide in managing your work and improving your efficiency. Using checklists over time helps to increase both competence and confidence as you become familiar with steps required to perform and complete tasks. You can likewise improve and update checklists as processes change or evolve. Checklists help to save time. Ensure consistency of output and quality. Serve as helpful reminders of things to do. Aid in record keeping purposes. Ensures you have covered all the bases. They are good training and delegation tools. Helps to prevent mistakes or reduce errors. Identify a specific process, task, activity or project that you want to be the subject of your checklist. Write down the critical steps involved. Make improvements to the checklist. Pilot the checklist with colleagues to get their feedback. Refine the checklist based on feedback. Put the checklist to use. Unfinished work weighs you down and hampers your effectiveness and work output. It is not uncommon to find yourself riddled with incomplete projects at any point in time. A sea of unfinished work causes stress, worry and anxiety. It can be overwhelming thinking about how to finalize all the incomplete work on your plate. Reasons for incomplete work include perfectionism or the work is not good enough, over analyzing, working on other priorities, not knowing what to do next, running out of steam, over estimating what you can do, underestimating the amount of time and effort required to complete an activity and thinking that you have to finish a big task all at once. The temptation to give up becomes stronger when you have too much to do, when work becomes harder or when you have worked very hard and are not seeing any results or only minimal results. It takes self-discipline, commitment and determination to see things through despite the effort required and challenges encountered. Begin by recognizing the recurring pattern of starting and not completing tasks. At what point do you put aside or abandon the work and why? What are the habits and behaviors that you do that undermine your progress? Critically analyze your reasons or even excuses for why you don’t finish your work. Choose a specific method or action plan to follow to finish your tasks. Refine and improve your methods as appropriate. Be persistent, determined and muster your willpower to honor your commitments. Be alert of when you let things fall through the cracks. Reassess what you started working on, break it into smaller tasks and assign mini deadlines along the way. Assign a main deadline for when big tasks should be completed. Map out your progress and visually see what you have done as well as what is remaining. Compete with yourself by breaking your past records – do more than you have done previously. Learn from your failures and look for ways to bounce back. Be motivated by the power of small steps or small wins and milestones. Picture yourself completing the task. Overcome fear of failure and being judged. Identify a mentor or colleague who can keep you accountable. Develop habits and routines that lead you to complete your work. Seek inspiration from others who have a history of completing their projects successfully. Avoid falling back into self-defeating habits that hinder your progress. Once you have mastered the art of finishing what you start, give back by helping others or teaching others how to successfully complete their initiatives. How does what you are doing fit into the company’s big picture? How does the bird’s eye view of your organization look like? How does your role contribute to the success of the company? It is easy to get caught up in daily tasks and forget to think about how what you are doing fits in and supports the big picture of the organization. Understanding how your work supports the overall mission gives a sense of motivation, engagement, inspiration and work satisfaction as you execute your tasks. It makes you feel more connected to the company. From time to time take a moment to reflect on the big picture regarding how everything fits together i.e. how all the dots connect. Think of or visualize the company as a ship that is out in the ocean. Ask yourself key questions such as: Where is the ship sailing to and why? How will it arrive at its destination? How much distance has been covered so far? What is your role in keeping the ship on course? Asking why does the company exist? Understanding how your team and department contribute to the success of the company. Learning what others are doing. Learning about what other departments do. Staying informed by reading the company’s strategic plan, website and intranet. Participating in all staff meetings. Reading company newsletters and reports. Departmental meetings with your boss and colleagues. Regularly reminding yourself of the company’s mission and vision. Brainstorming with others ideas that can improve the company. Learning the big picture about the external environment in which the company operates including its industry and competition. Increasing your knowledge and level of awareness about the organization. Making improvements to your contribution and endeavoring to make a difference. Suggesting, providing or supporting ideas for continuous improvement in the workplace. Being excited about your work and your contribution. Encouraging a spirit of more teamwork, collaboration and sharing of information. Do employees have the big picture? This section tackles the opposite of external distractions and addresses situations where you are working on a task and your mind starts wandering about. How does one put their attention span on a leash? How can you improve your focus? It takes effort and willpower to pay prolonged attention to a task for a lengthy period of time. With determination and good planning, one can work towards improving their focus. Preliminary steps include getting enough sleep, eating well, staying hydrated, organizing both your work and your work area and switching off common distractions such as cell phones, alerts and social media. Begin by determining to do as much of a task as possible. Have a plan or a list of what you want to do. Get everything you need to work on. Develop your own schedule or routine. Give yourself deadlines of when to accomplish specific tasks. Progressively increase the amount of time that you can work without losing focus. Be aware of moments when you start losing focus. Make a mental note of these triggers. Maintain a comfortable seating or standing posture. Predetermine your check-in times for addressing emails, voicemails etc. When your concentration wanes off after working for an extended period of time, take a small break then resume where you left off. Periodically check on your progress against your deadlines. When new thoughts or ideas occur to you, write them down for later review. See the articles below to discover more tips on improving focus and concentration. It is under rare circumstances that everything goes according to plan. Make allowances for unforeseen circumstances. Emergencies, unforeseen circumstances and risks are part of the fabric of working life. A risk management process begins by identifying potential risks that can affect the completion of a project or a major task i.e. asking what if? Once you have identified what can go wrong, the next step is to prepare back-up plans or risk management plans that will be implemented in case the risk occurs. Thinking and planning before a risk occurs helps to save time and be more in control when a risk actually happens. In other words it helps you to be more responsive. In addition, be on the lookout for risks that typically recur or repeat again and develop steps to prevent or reduce the severity of the risk. For example if you are planning an event and are relying on a supplier who has traditionally been late in delivering required supplies, you could either order the supplies much earlier than usual or identify another supplier to work with. What is the likely impact of the risk? How can the risk be prevented? What should be done if the risk occurs? How long would it take to handle the risk? How soon would you be able to get back to your daily tasks? Causes of risks at work can include delays, breakdown of equipment, lack of resources, budget shortfalls, cost overruns, absences, underestimating time required, loss of power, incorrect information and lack of information. Other causes or risks are lack of skills, loss of key personnel, loss of customers, technological changes, government regulations, fire, burglary, hacking, weather and natural disasters such as floods, earthquakes, hurricanes etc. It takes effort and determination to accomplish big goals. Each time you accomplish a big goal, take a moment to reward yourself and appreciate the fact that you have done a good job in hitting a milestone. Taking time to reward yourself sets the stage for the next big goal. It motivates you to want to accomplish more and push yourself to perform at a higher level. Rewarding your efforts and actions gives you a sense of fulfillment and can spur momentum by creating a pattern of repeating and refining actions that can lead you to more success in the future. Doing a fun activity such as going to a movie, dinner or hanging out with colleagues, friends or loved ones. Going outdoors, enjoying the scenery, taking a walk or jogging. Treating yourself to a spa. Watching a movie, reading a book, listening to music or dancing to your favorite songs. A productive day flies by fast. At the end of each day, make it a regular habit to take a few minutes to think about what you did during the work day. Which tasks took longer than you had expected? Which new priorities emerged during the day? Which tasks did you not attempt and why? What unexpected issues or emergencies arose during the day? What is the first thing I would like to tackle tomorrow morning? The checklist above will give you a quick reading on the health status of your work day. In conclusion, the greatest reward at the end of each productive day is looking back and seeing that you accomplished what you had planned to do.